Based on the principle of ‘Learning Today, Leading Tomorrow’, our focus is education, including opportunities at local universities, JWOC’s Community Center and in the villages surrounding Siem Reap, Cambodia. We have learned that focusing on education is where we can make the greatest difference in helping Cambodian youth to better their future and become leaders in their community. The ability to attend university and achieve a higher education is well beyond the financial reach of many students in Cambodia even if they are able to graduate from high school. 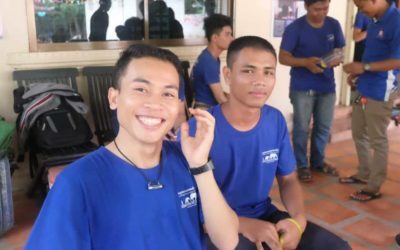 JWOC awards university scholarships to Cambodian students who are the driving force behind everything we do! The JWOC Free Classes program aims to improve quality education for low-income families within the community through language and skill-based lessons. To achieve this goal, we ensure that the community has access to free quality education at our community centre! 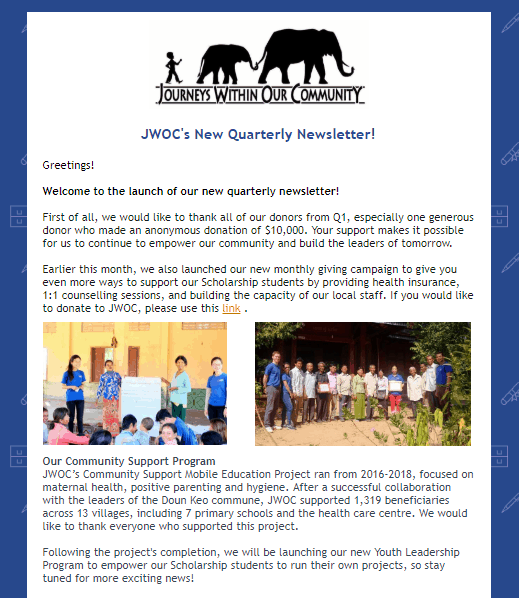 Subscribe to our newletter to receive the latest news and information regarding our activities in Siem Reap.